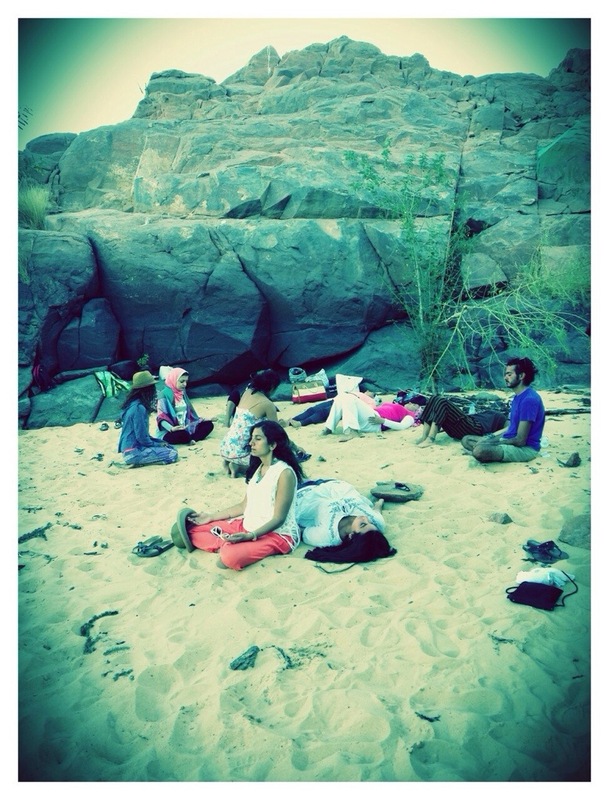 Recent Aswan Retreat is a reminder of the rich connection between our inner and outer worlds, how one reflects the other, how we can use nature and our environment to access the mysterious and ever expansive world within. Teaching at Fekra Cultural Center which sits right on the Nile, swimming in the powerful and refreshing Nile itself, visiting Isis temple Philae and meditating on the idyllic islands on the Nile has been about deepening such connections; how a place can help us access our essential nature, which though always with us, we often feel cut off from in the bustle of everyday life. This, for me, is the power of retreat. It’s a moment for us to give ourselves space to be with ourselves. To remember who we are. To deepen our relationship with our own heart and soul. Leading such retreats has been a great blessing and an incredible reminder that maintaining a healthy body, heart and mind is related to maintaining a healthy relationship with this incredible outer world, a great mirror and tool for self-exploration. Grateful for the Aswan retreat a couple of weekends ago and excited for the two retreats ahead: NUN Center’s Yoga and Detox here at Soma Bay which starts today and and the Siwa Yoga Retreat coming up on the 19 of November. For more info on the upcoming programs, call 01008330269 or email: kaz.castillo@gmail.com. PHOTO by Hazem Khamis. Taken during one stop during our boat tour of the Nile. This beautiful beach/sanctuary was the powerful setting of a chakra meditation led by Iman Elsherbiny and an Inner dance (pictured here) by myself. Classic case of how nature supports the inner exploration; everyone dove deeply into the ID process. Gratitude abounds.